forward together. At Redwood Credit Union, we can help you achieve your goals with banking tools that deliver great value year after year. 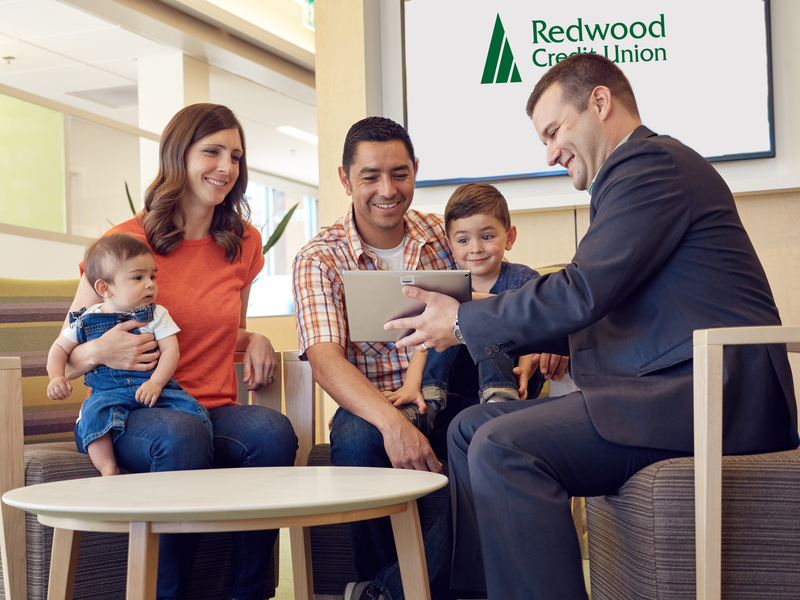 Founded in 1950, Redwood Credit Union is a full-service financial institution providing personal and business banking to consumers and businesses in the North Bay and San Francisco. RCU offers complete financial services including checking and savings accounts, auto and home loans, credit cards, online and mobile banking, business services, commercial and SBA lending, wealth management, investment and financial planning services, and more. 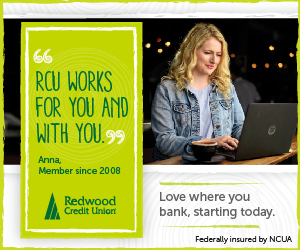 RCU serves over 300,000 Members with full-service branches from San Francisco to Ukiah, more than 30,000 free network ATMs nationwide, and convenient, free online and mobile banking. It’s banking from right here, for the people who call this place home. Today. Tomorrow. Together. Learn more at redwoodcu.org.